Not all of these are actually negative toward church, but their provocative titles hint at hostility in their potential readers. Apparently, bad experiences and uninspiring events are causing some Christians to look for a legitimate way out. Does it really matter then, if I don’t attend, or at least don’t regularly attend Christian meetings? Could I instead participate in a ministry that features some salvageable part of church that I prefer—like Bible study? That way I could avoid the hassles of fully-orbed church involvement. Or worship. If I like singing without all the extras, why not simply attend some worship concerts around the area? Or service. I like helping people, so couldn’t I dispense with the stuff I don’t like, and instead, join a faith-based mission for the underprivileged? Couldn’t any of those interests count as an acceptable substitute for church? Part of the answer to this question is found in the word “church” itself. The original Greek word for church is “ekklesia,” meaning a called out gathering or assembly. There was no religious connotation originally attached to it. Ekklesia meant a group of people called together out of their personal interests. When you had assembly at school, that meant you got called out of your desk work, and your classroom, into a larger sphere of the entire student body where a presentation or some announcements would be made. In the New Testament, the word ekklesia was chosen to describe us Christians when we gathered. We are a people who get called out of bed, out of other priorities, personal plans, or preferences, in order to come together. And what can we expect to happen when we answer that call? For sure Jesus has a better reason for calling us out than to keep us from sleeping late. 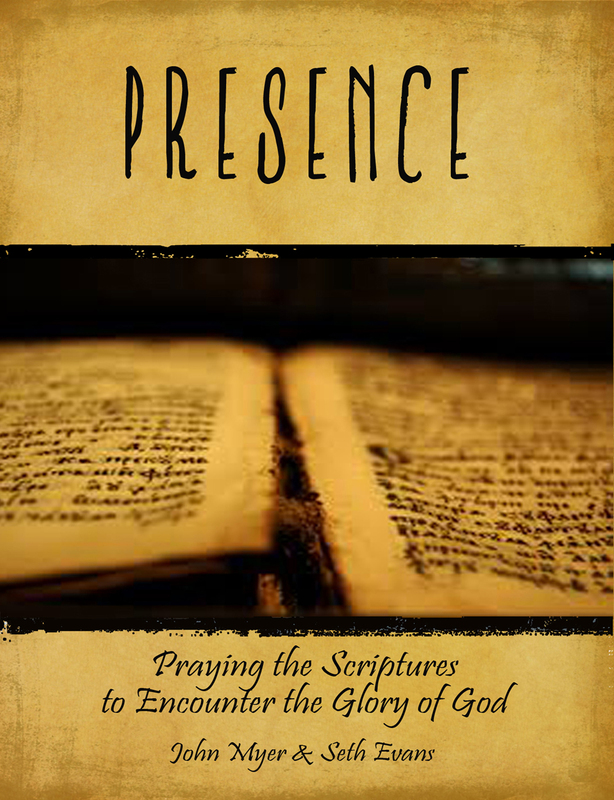 Take a look at the Bible for the earliest nuance of Christian gathering. “On the evening of that day, the first day of the week, the doors being locked where the disciples were for fear of the Jews, Jesus came and stood among them.” (John 20:19). The fear in that room had been palpable. After all, a hostile mob had three days before crucified Jesus, so what better treatment could this motley band expect? They were afraid, and when the disciples of Jesus gather together, they usually show up in a mood of some sort—fear, or anger, or sorrow, or just a blase feeling because it has been raining for a week straight. But setting the precedent for all Christian gatherings that would ever happen after this point, Jesus came and stood among them. It was an unexpected, almost freaky occurrence, yet this has always been the boast of the gathered Church—“Christ Among Us.” Neither is His presence through the instrumentality of icons, symbolism, or ceremony. It is no less than a miraculous phenomenon when He comes and stands in the midst of His troubled, imperfect disciples. Furthermore, “He spoke, and said to them, ‘peace be with you.’ When he had said this, he showed them his hands and his side. Then the disciples were glad when they saw the Lord.” Peace and gladness broke out inside this gathering, not because they gave one another motivational speeches, but because this resurrected Christ presented fresh reminders of His death for them, as evidenced by the wounds on His hands and side. He was in effect reminding them that his soul had been poured out for their sins, and the Father God had accepted that payment and resurrected Him as proof of it. By showing them this, Jesus anchored that wavering group in the immovable, timeless truth of Christ crucified, Christ resurrected. He thus not only commissioned them, but gave them the life and authority of the Holy Spirit to make them effective. The world would never be the same. When we are called out, we are called together into an interaction with Christ that addresses our internal condition, refocuses our mission to the world, and refreshes our spiritual resources to carry out that mission. Then we’re sent out again. It’s a rhythm. Together we’re encouraged, reminded, refreshed, and sent. Then individually we go out and bring the Holy Spirit to work, and school, and into our homes. Sometime during the week, there will be a small group pit stop, but in seven days, this called out gathering will happen again. Prioritize the short time once a week when the whole church assembles. So what if we don’t? “Was not with them” is a telling statement. Did Thomas miss anything by not being there? Of course he did, and yet many contemporary Christians persist in claiming our gatherings are needless and irrelevant. They were thrilled, but His faith was no better off than any atheist roaming around a college campus. Thomas was way behind the others at this point. He not only seemed disconnected, clueless, and flat, but even worse, committed to his unbelief. We don’t want to fault Thomas for being absent from that gathering, because his primary problem was his unbelief, and not his church attendance. However, we can’t overlook what happens next. “Eight days later, his disciples were inside again, and Thomas was with them. Although the doors were locked, Jesus came and stood among them, and said, ‘Peace be with you.’” (v. 26). Think about it. Jesus waited for eight days before He appeared again, when his disciples were gathered together. It’s striking that Jesus let Thomas remain in his unbelief for eight days and did not privately go to him during his morning devotional time, or when Thomas was in private reflections at the lake. Something incredibly special happens when we’re called out of what we’re doing and into the larger public space where we fellowship with one another. Christ is present in a different way than He is normally with each of us. It’s not that when we get together, we expect an exact repeat of what happened in John 20, with a miraculous appearance of Christ. After all, Jesus did say, “blessed are those who have not seen and yet have believed,” so the idea when we all meet together is faith being strengthened, not sight. For sure though, we can legitimately expect His invisible presence among us, pushing us out on mission, refreshing our spiritual resources for that mission. That’s what we’re called into, and that is what we stand to miss when we ditch our meetings. When I was in elementary school, we moved to a rural area on three acres–paradise for us kids. As soon as the sun came up in the morning, we scattered, and played hard all day. It was an era before cell phones or beepers, so my dad made a rule that when he whistled, we were to stop what we were doing, and come home. My sister would stop playing Barbie’s with friends, and my brother and I would stop catching crawfish at the creek. We got called out of what we were doing to gather at our house. Often we were in the middle of something important, like building a fort, or hanging out with friends on the other side of the neighborhood. It wasn’t always easy for us to respond. But normally my dad whistled at scheduled times, like dinner. As soon as we hit the door, we smelled fresh bread slathered in butter. Or chicken pot pie. And we were glad we’d been called out, because what we were being called into was so good. I’m not trying to adopt a legalistic position about going to meetings. The point here isn’t to earn a gold star for church attendance. Besides, if you’re trying to find reasons not to be around, threats and guilt aren’t going to fix that attitude, anyway. Instead of wondering how we can have the minimum and still be able to call it “church,” let’s adopt another mindset: seek the Son of God who gathers in our midst and moves us forward together. Desire to be in on that momentum. Often church gatherings cover in detail things we would never choose to explore privately—evangelism, financial generosity, sexual purity, certain spiritual disciplines—areas the Lord wishes us to enter as a congregation. It is a slow journey into glory, and it takes all of us to get there. Previous Post: What Does Your Jersey Say? And we were glad we’d been called out, because what we were being called into was so good.–Love that. Such a beautiful picture. Thanks for addressing this important issue, John. Each of us is part of the body – a toe, an ear, an eye, a brain – and each part is vital for its unique participation. Also, almost everyone on earth needs to belong, and what better family or community to belong to than the church! Then, as we come together, we have the power and purpose of the WHOLE Body of Christ on earth. That’s powerful! Thanks, Mary. I wouldn’t know where I’d be today, if not for the kind ministrations of other Christians both privately and in meetings.